In Scarperia e San Piero, in the heart of the Italian countryside, come and discover the stunning area of Tuscany with its many traditional villas, stunning landscapes, its vineyards and olive groves. 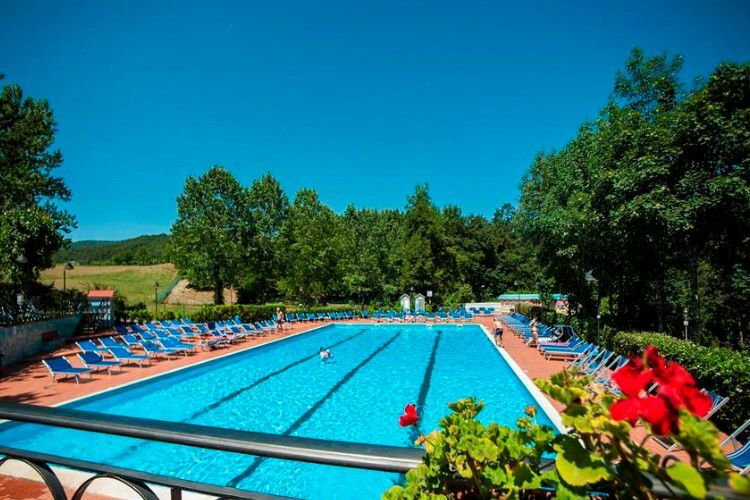 Just a few kilometres from Florence, the Mugello Verde welcomes you to a magnificent area, perfect for enjoying the warm afternoon sun and for relaxing. This campsite has a lovely outdoor pool (swimming cap obligatory) perfect for practicing your stoke. Sit back and relax on pool side in one of the many sun loungers and enjoy the sun. Nearest town : San Piero a Sieve (2 km). According to legend, Mugello is a lake 300m deep. Its valley is overflowing with passes and rivers, as well as luxuriant flora and fauna. As well as this, you can discover historical, religious and artistic sites. 20km away, let yourself be seduced by one of the biggest towns for art: Florence!